Album Art Downloader XUI is a Freeware Portable Album Cover Art Downloading tool that can be used to to find, update, and download album cover art for your music collection or media library. 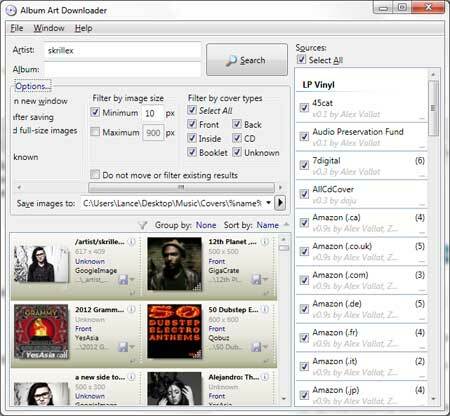 Album Art Downloader utilizes some of the most of the popular album art sources to find your album cover art. You can search by Artist or Album Name, and you can filter by image size or cover type.